I live and breathe our mission of ‘moving heaven and earth to get our recurring small batch customers what they need, when they need it.’ Every now and then I’m reminded that while I live this world day-in and day-out, others might not really understand what we do as a small batch electronic contract manufacturer. 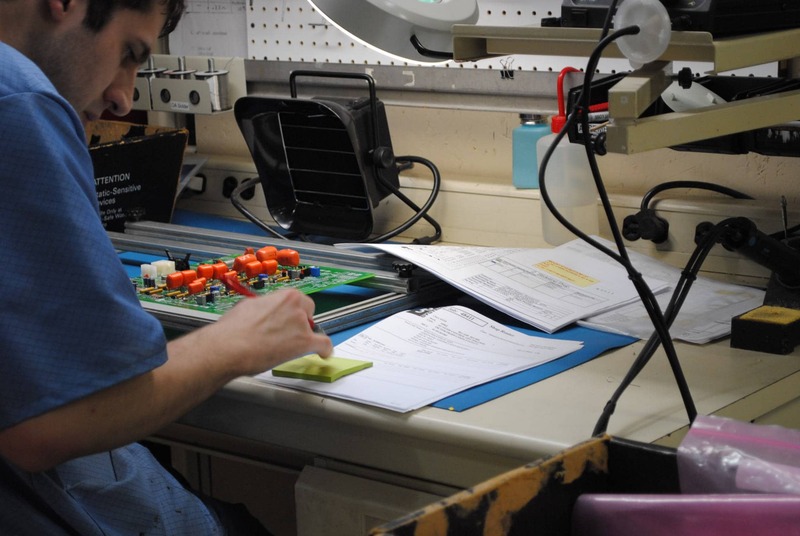 We serve two different segments: original equipment manufacturers needing small quantities of circuit boards on a recurring basis and other large contract manufacturers who have these same recurring, small batch needs that they can’t or don’t wish to fulfill themselves. There's more to be said about small batch electronic contract manufacturers than lamentation of a lower maximum throughput, though. In an era where agile development principals have begun bleeding from software to other realms, small batch manufacturers primed for flexible, fast iterations in smaller amounts can be a potent tool for original equipment manufacturers and large contract manufacturers alike. There are also other benefits to working with more specialized manufacturers. In this article, we'll discuss some of the similarities and differences between large batch and small batch electronic contract manufacturers and situations where you may favor one over the other. Small batch electronic contract manufacturers specialize in precision. You'll likely pay a bit more per item with small batch sizes, but it's dangerous to assume this leads to reduced profits – you can greatly reduce logistical overhead by operating with smaller batches. You're also in a much safer position with small batch specialists – should a significant change to the manufactured product be required, or the market behind it die, you won't find yourself with a warehouse filled with useless electronics you had to buy to meet a minimum batch size. The word to keep in mind with small batch electronic contract manufacturers is 'flexibility.' You can meet your needs today, and if tomorrow those needs radically change you can adapt instantly without loss. Large batches save money when things go according to plan. Small batch operations can't beat the economy of scale afforded by larger batches, so long as those batches come out as expected and see appropriate use. Large batch electronic contract manufacturers tend to have more connections with other companies to leverage as needed and the logistics required for moving larger amounts of product than their small batch cousins can manage, though neither of these benefits are necessarily inherent or exclusive to large batch manufacturers. The key word for large batch manufacturers is 'predictability.’ If you're 100% confident in the product, and confident that you'll truly benefit from the efficiency of larger batch sizes, then a large manufacturer may be a strong choice. While some electronic contract manufacturers at both sizes will bog themselves down in the attempt to wring as much work from a given client as possible, the savvy ones will have arrangements with partners at the other end of the market – small batch manufacturers will have partners to send larger batches and excess work to, larger manufacturers will work with small batch firms when a particular product requires the flexible, 'finicky' attention small batch manufacturers specialize in. As you can see, it's worth considering your options when approaching manufacturers. The primary benefit of large batch manufacturers – economy of scale – depends on reliable, unchanging markets that can be rare in some markets for electronics. Small batch manufacturers can reduce risk and logistical overhead, leading to better financial outcomes in many situations. The best outcomes often come as a result of combined efforts: partnerships between large and small batch manufacturers can enhance the pros and alleviate the cons of each.